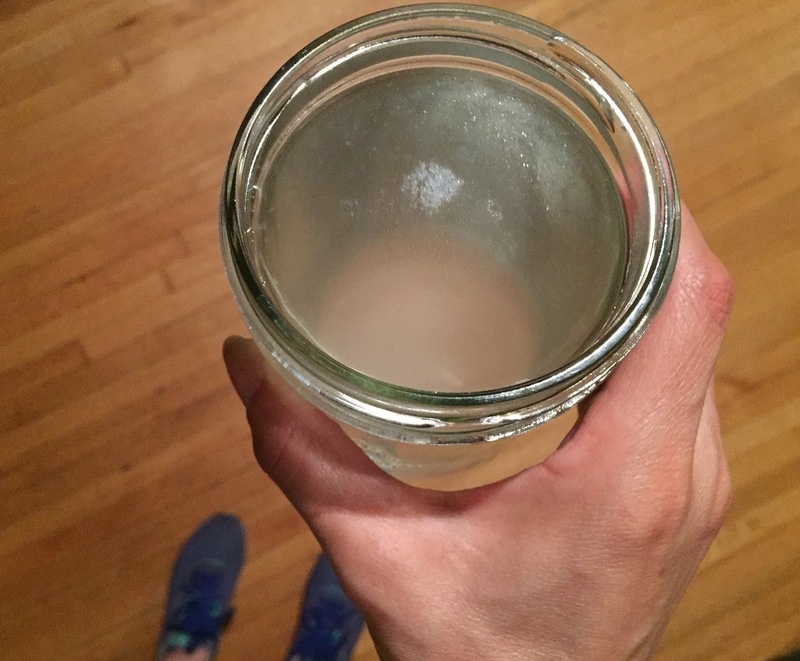 Hydrosols, also known as hydrodistillates, herbal distillates, hydroflorates and sometimes floral waters, are one of my favorite forms of plant medicine. I enjoy using them for a myriad of beneficial uses like skin care, cleansing the air, as surface cleaning agents, pet care, garden pest management, and for energetic shifting. You can also safely incorporate them into healing beverages too. (I must caution, as always, research any unfamiliar plant you plan to take internally, especially if you’re pregnant, planning to become pregnant, or taking medication). Hydrosols contain essentials oils, organic acids, flavonoids, plant pigments, various water-soluble plant components and trace molecules. 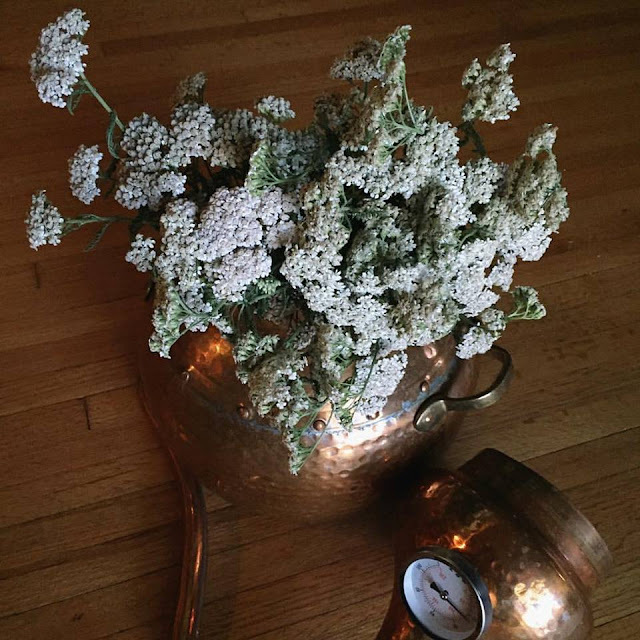 This ancient form of botanical medicine making (when using a metal still) is a rather magickal alchemic union between the elements; earth, air, fire, water, and metal. 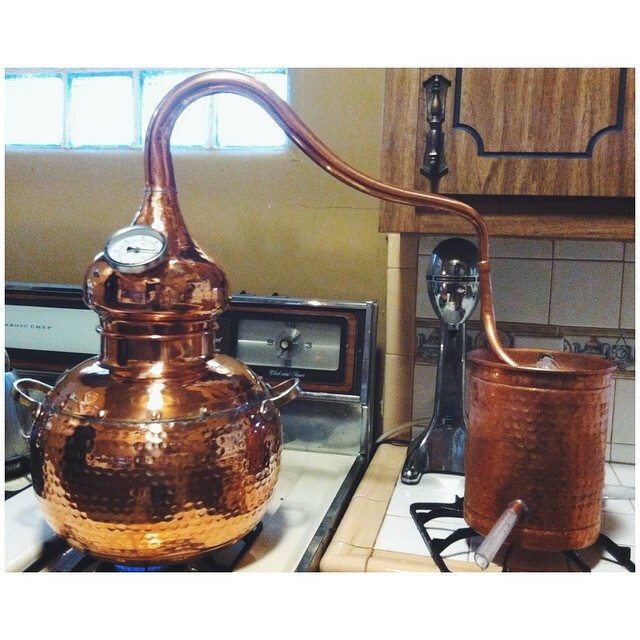 The first people to utilize stills were the Egyptians, as it is depicted in ancient carvings and paintings. One of my first distillation set-ups. I plan to remove the heat-safe plastic with more copper fittings. Through the process of hydrodistillation a plant's molecular structure is extracted through heat and water and captured within the steam which builds together from the cold (condensation) thus forming a hydrosol. I should also mention that hydrosols can also be extracted by using purely steam distillation, without plants bathing in water, however, through my *recent learnings some trace molecules that are water-soluble might be lost in that process, therefore, you loose a little bit of that plant's "magick". And then there's also the combination of the two, which is called hydro-steam distillation. To make a hydrosol I begin by giving thanks to the borrowed sacred land that we grow plants on and to the mighty plant nation and all her protectors. I then begin to harvest plants guided by various forces, sometimes it's astrology and sometimes it is simply what someone is needing. I then set the scene for plant processing. Once the foundation is set I place my copper alembic still pot (or some like to call it, a cauldron) on the stovetop, fill it up with my thoughtfully processed plants and then I fill the pot with natural spring water or if need be distilled water (there are some studies that can be found on water PH levels). Sometimes, for a very special hydrodistillation I will make a journey to harvest local fresh spring water. I then place the alembic head or 'onion' on to seal it up, which is attached to a copper pipe, sometimes called a 'swan neck'. Some folks will create a seal here with rye paste to avoid steam from seeping out. I haven't had this issue yet but as I use this still over and over again I'm sure I will need to. The neck then attaches to a condenser. The condenser is either filled with ice or cold water is continuously ran through it. That cold temperature from the condenser travels through the copper pipe creating condensation in the alembic head and within the pipe. That condensation then comes out of the copper pipe, resulting in your product, a hydrosol. You can get a visual idea of this set-up from the above photo. I practice a low and slow hydrodistillation process so that I can keep *smaller molecules in tact and capture them in the hydrosol. Larger-scale essential oil companies use a higher flame and they process the plant material a lot quicker, which I think makes the end product not as whole as it could be. You don't see many of these companies purely producing hydrosols, they basically sell what they view as a by-product of the essential oil. Technically, it is a hydrosol but it was not initially distilled for that purpose, placing the intention in essential oil extraction rather than a wholistic hydrosol. 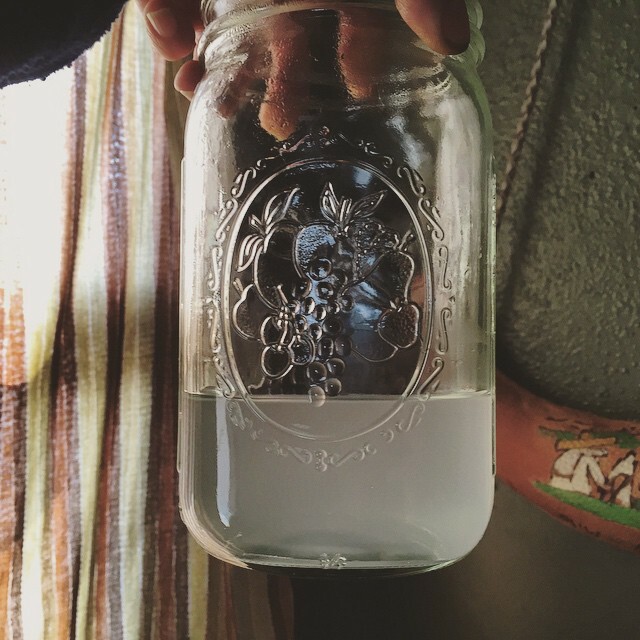 Homegrown CA Sagebrush (artemisia californica) Hydrosol. These hydrosols carry water-soluble therapeutic properties that can be incorporated into one's healing regime to address several types of conditions along with supportive energetic properties for the spirit. These waters are fresh and alive and therefore need to be preserved in refrigeration and in darker colored bottles. I like to use blue bottles for the extra healing benefits of chromotherapy, every crafter has their twist, that's the really fun part of this art. Getting to experience the intensity of the aromatics first-hand when hydrodistilling really gives one a good insight into the characteristics and energetics of the plant. Sometimes I have to walk outside to take a break from the potency and sometimes I bask in it. An olfactory experience like no other that will make you fall even more in love with the plant world! I do suggest going outdoors in you can for larger hydrodistillations, especially if you're distilling often. It's also great to open some windows if you can't go outside. Some of the steam can be really strong, I've done an artemisia hydrodistillation indoors before which turned out to be my teacher in being more mindful with ventilation as a distiller. As I mentioned previously, hydrodistillation is also how essential oils are extracted, a craft that requires a lot more plant material and preparation depending on the plant you use. For example, some plants might require a special soak of some type to extract essential oils. Most of my hydrosols contain fair amounts of naturally occurring essential oils that I do not separate because there wouldn’t be enough to use on its own. You can tell when your hydrosol has essential oil content because sometimes you’ll be able to see little pools of essential oils or even little "rainbow-like" circles dancing on the surface of your hydrosol. If you want to separate the oils you could purchase an essencier. You can see essentials oils floating here with a bit of a blue hue. This is a hydrosol trio blend of rose geranium, white yarrow flowers and cleveland sage. I really enjoy using hydrosols all the time and sometimes I'll switch them up according to the season (you know, to be in tune with the cycles and all) and of course for whatever energetic shift or remedy I'm looking for. Although with that said, there are a few right rightnow that I like to keep close by all year long like the sages, myrtle and rose geranium. Hydrosols really should be at the forefront of aromatherapy, in research and in use. I'm thrilled there are more and more folks starting to make their own. They are gentler on our bodies yet strong in their medicine. It takes less plant material to make and I really believe that these waters carry more therapeutic benefits than solely in their seperated essential oils. They can really help guide healing paths and they carry transformative powers down to the cellular level. *The results from gas chromatography - mass spectrometry essential oil testing (most essential oils have a GC/MS report that lists active organic compounds) doesn't reveal trace molecules, which aromatherapist John Steele has stated, are "the soul of the plant." In the realm of this alchemic practice I believe it is important to know the distiller's methods of crafting and in particular where they are sourcing their plants from. Essential oil production is the main culprit for modern ecological imperialism because of the amount needed to produce EOs and to meet the increasing market demand. *There is a renaissance of alchemists working directly with nature and the cosmos to produce botanical "potions" in which we are fully immersing ourselves (spirit) into the distillation process. Any botanical distiller can tell you of the energetic stages and experiences one has while sitting with their plant distillations. Seek out solid sources my friends. Want to learn more about the art of hydrodistillation and hydrosols? I know I do! *Recent learnings: Alchemy Panel Discussion - Hosted by Roxana Villa of Illuminated Perfume with panelists, Cathy Skipper, Dr. Florian Birkmayer, John Steele and Roxana as well. Learnings mentioned were captured from John Steele. The last sentence was inspired by the overall panel discussion with strong themes from Cathy Skipper on the alchemical art of hydrodistillation. Visit my etsy shop to check out my hydrosols, some change seasonally. Reference Resource: 375 Essential Oils and Hydrosols by Jeanne Rose, 1999 Frog Ltd.
Hi Kat, Thanks for the great post. Do you have any tips on preserving hydrosols to be shelf stable? Beautiful! I just got my first alembic still last week and I am so excited to start using it!